Joseph McCarthy played a significant role in the United States during the 1950's and the early years of the Cold War. He was born in Wisconsin on November 14th, 1908 and attended Junior High and Senior High school in Wisconsin. He attended college from 1930-1935 and received his Law Degree in 1935 from the Marquette University Law School. He began working for a law firm in Wisconsin until he was elected 10th District circuit judge. He would work as a judge until 1942 when he joined the Marines as part of the United States' role in World War II. McCarthy served until February of 1945 as an officer until he returned to his position as a judge. He then began to prepare his campaign to become elected to the United States Senate. In 1946 he successfully won the Wisconsin U.S. Senate election as a Republican. McCarthy's role in the Senate took a leap forward in 1950 when he gave a speech claiming to have a list of 205 names of communists working at the State Department of the United States. His speech resonated with many Americans as their was an existing paranoia that communism and communist spies were present in the United States. For example, at the time, the United States was engaged in the Cold War with the communist Soviet Union and there was evidence of Soviet espionage occurring in the United States. The best example of this espionage was the arrest and execution of Julius and Ethel Rosenberg. This climate of paranoia helped fuel the accusations of McCarthy and made McCarthy a well known personality in American politics of the time. As a result of McCarthy's accusations, the United States Senate voted to investigate and established the Tydings Committee. It was set up with the mission of carrying out public hearings to investigate McCarthy's claims. 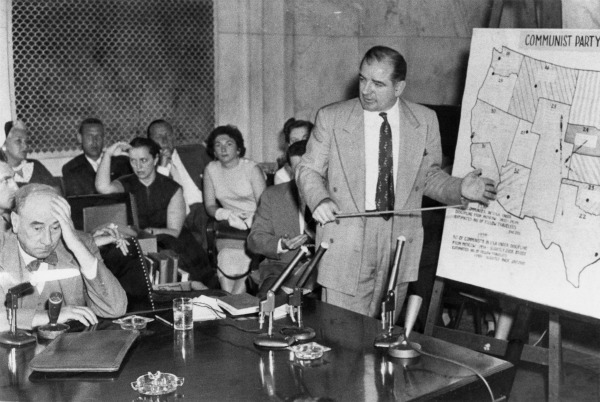 The Tydings Committee held hearings against 9 specific people and while McCarthy attempted to prove the connections between the 9 individuals and communism, he failed to produce any real evidence. Regardless, McCarthy was re-elected to the Senate for Wisconsin in 1952. Over the next several year he pursued his own brand of anti-communism rhetoric that historians now refer to as McCarthyism. In particular, he turned his attention from accusing government employees to accusing the armed forces of being filled with communists. McCarthyism (or the Second Red Scare) was a period in the 1950's when a fear of the spread of communism in the United States. During this time thousands of American citizens were accused of and investigated for possible connections to communism. McCarthy's accusations created a high level of paranoia within the United States and caused different aspects of American society to begin questioning the loyalty of American citizens. 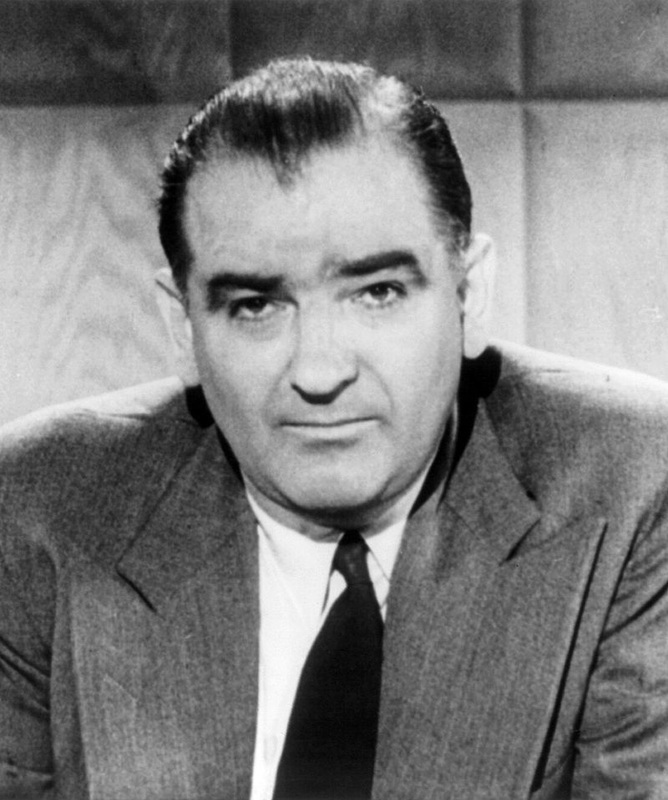 In the end, McCarthyism declined by the mid to late 1950's and Joseph McCarthy was widely discredited based on his claims of widespread communist involvement in the United States federal government. His fall from grace was mostly connected with the Army-McCarthy hearings in which he claimed and tried to prove communist connections with the Armed forces. While many Americans supported his investigations against the federal government, Americans were not willing to go against the Armed Forces as easily. The live broadcasts of the hearings showed McCarthy interrogating army officials in a vigorous way that upset many people and many began to view McCarthy in a negative way. Overall, McCarthyism created a large debate in the United States and became a very controversial issue that still resonates today. For example, it put a great deal of pressure on American democracy by bringing into question issues of free speech and free association. He died on May 2nd, 1957 at the age of 48 from acute hepatitis.